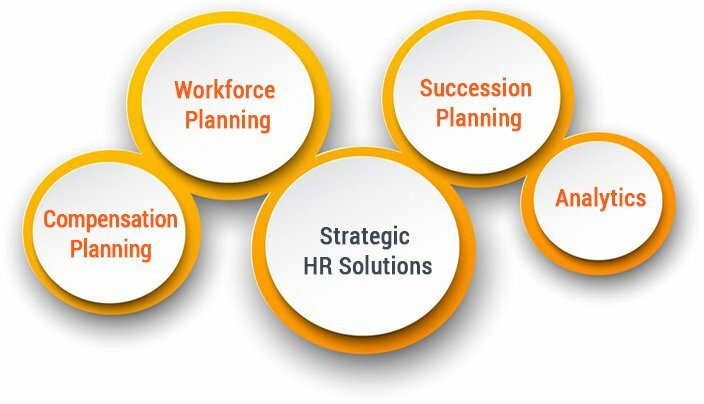 Our Strategic HR Solutions are focused on managing talent in your organization; talent being the sum total of performance and potential. The solutions are helpful when you have your data in an integrated database and are now focused on risk mitigation, business need based employee development and recruitment. Our Strategic HR Solutions, therefore, place its emphasis on processes such as recruitment, development of skills and competencies, aligning goals to strategic objectives, performance management with an intent of self development, and evaluating leadership potential in employees. All this results in the creation of a ‘talent pool’ in your organization allowing you to build deep expertise to go to the next level. Automate mundane tasks, calibrate performance data and nurture future leaders. Track performance and the potential of your employees annually in a speedy and accurate manner. Retain and encourage your top performers. Align employees with the overall business objectives of your company. By putting the right people, on the right job, in time, workforce planning can significantly mitigate the fallouts of inadequate resources. Lack of insights into employee perceptions can lead to a disengaged workforce.